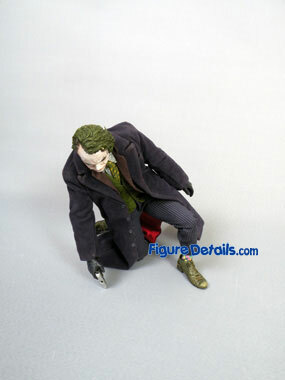 Do you still remember how Joker is being caught for the first time? 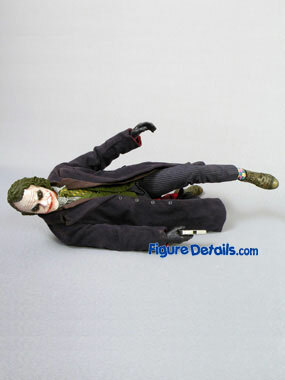 Here I show you the pictures of Joker right before he was caught. 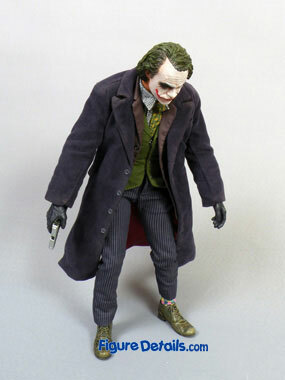 BTW, in the Dark Knight movie, Joker use MK760 gun. 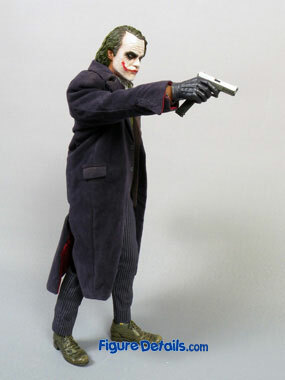 This Joker DX action figure did not come with this gun. 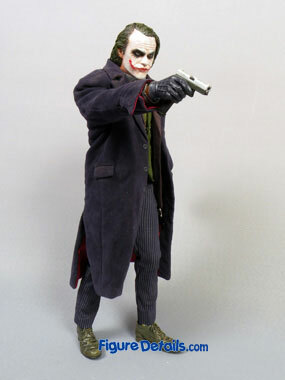 So, I use the handgun instead of. 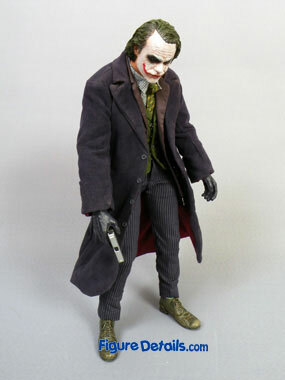 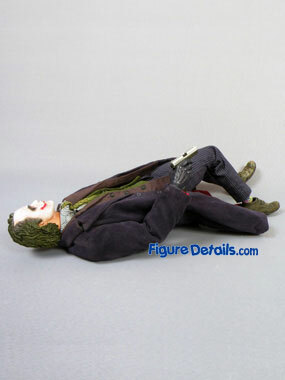 Actually, Hot toys has produced MK760 gun, but just come with Joker bank robber version. 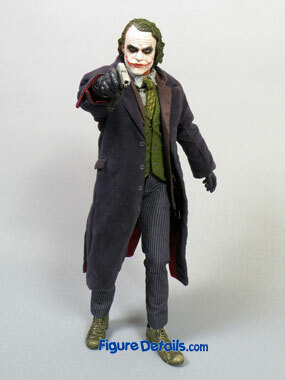 If you want to have all accessaries, you better collect the Hot Toys Joker robber version as well. 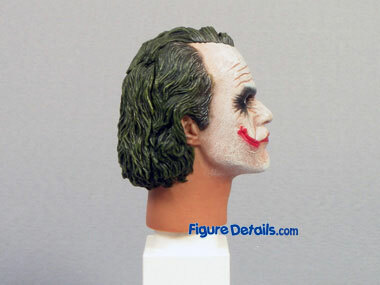 Joker head sculpt. 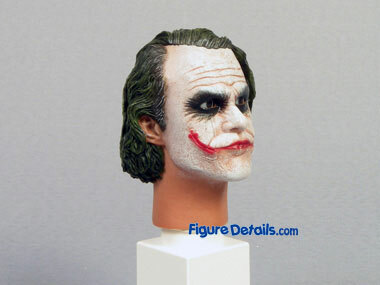 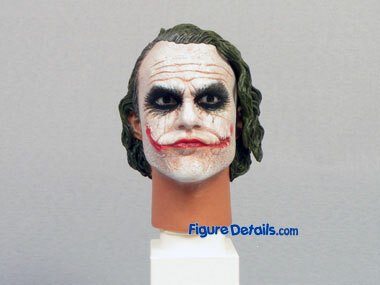 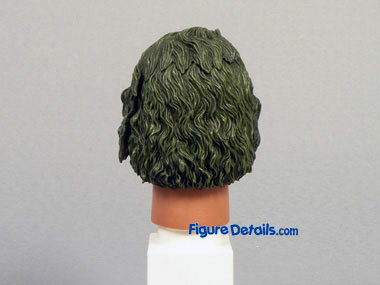 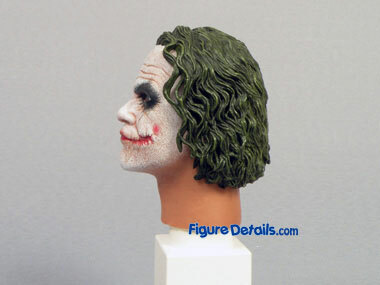 Compare with the first version of Joker, Hot Toys make a big change on Joker head sculpt. 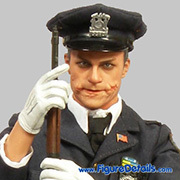 In term of head sculpt, the Joker DX head sculpt look more similar with the Hot Toys robber version Joker. 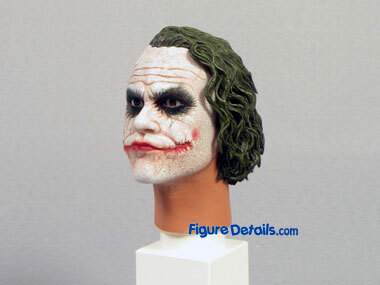 In term functionality, Joker DX head sculpt builds in eye ball system. 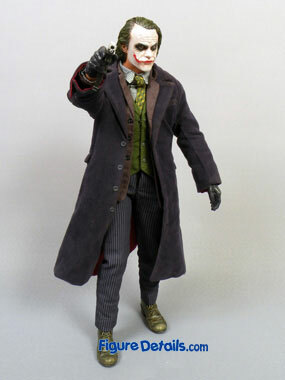 BTW, this is the first Hot Toys action figure with eye ball system. 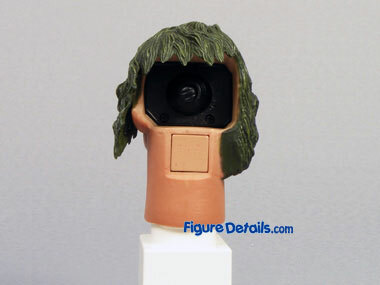 I think Hot Toys develops the eye ball system mainly want to compete with their major action figure competitor - Enterbay.